AT&T is meeting its promise to deploy 5G by the end of the year, if just barely. The country’s two biggest wireless carriers looked like vastly different companies in earnings calls this week. While AT&T proclaimed that its acquisition of Time Warner and AppNexus finally gave it “all the key elements of a modern media company”—execs repeated the phrase “modern media company” three times during the call—Verizon swore off any further content ambitions as it hunkers down on 5G deployment. The contrast is indicative of a growing split in each company’s competing visions of what promises to be a monumental jump forward for the wireless industry: the deployment of 5G technology. Meanwhile, Verizon is focused on the opportunities 5G will bring in the form of increased access, internet-of-things services and wireless services to fixed locations like homes and offices. Dinged by the recent failure of its Go90 video platform, Verizon is sticking to content partnerships with other companies for now—although it did attempt to dispel rumors about a potential spinoff of Oath. Overall, AT&T executives mentioned the term “5G” a total of four times compared to Verizon’s 39 references to the technology, according to call transcripts from Seeking Alpha. 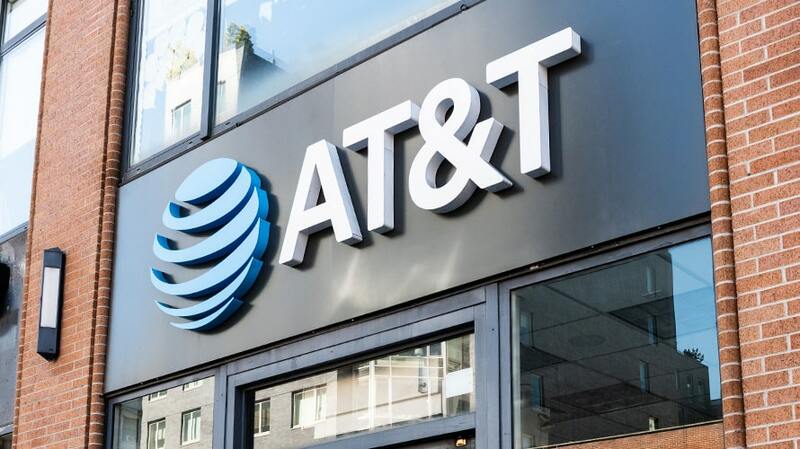 AT&T laid out a four-pronged strategy for its newly consolidated media business: Time Warner’s roster of entertainment brands will produce the premium content, and AT&T’s high-speed networks will offer the distribution and collect consumer data that will, in turn, inform its “best-in-class” ad-tech platforms like AppNexus. AT&T CEO Randall Stephenson claims this whole system represents the fruition of a plan the company hatched more than two years ago. “It was early in 2016 where we were asking ourselves, if you believe that’s going to happen, if you believe that your networks are going to be able to distribute seamlessly premium content, if you believe that your information and your distribution business is really valuable and can drive different advertising models, then you probably ought to move fast and own media,” Stephenson said. Investors don’t seem to be exactly sold on this vision. Shares of AT&T’s stock sank to a six-year low after the earnings report as its flashy media promises failed to distract from lackluster wireless growth. There’s also skepticism that content offerings will lead people to AT&T’s core service in the droves needed to make the investment worthwhile. “I remain suspect how AT&T will monetize this to the levels which are required for the massive investment put in. Yes, it is helping keeping churn down on the wireless side, but it has not increased new subs en masse,” said Counterpoint Research telecom analyst Jeff Fieldhack. AT&T’s strategy with Time Warner, now known as Warner Media, involves giving HBO the financial runway to greenlight more of the projects it has in development and eventually compete with powerhouses like Netflix and Amazon in streaming video. Netflix spent an estimated $6.3 billion on content last year compared to $8 billion from all of Time Warner and Amazon’s $4.5 billion, according to data from research firm MoffettNathanson.